What type of diapers will you be using? If you're using pockets or all in ones, you will need a larger number than if you are using covers. Covers can be used 2-4 times (or more) between washes, so in theory, you would need at most half- depending on baby! You may find you need to use a variety of types for different occasions as well (grandparent/daycare friendly diapers, for example), so keep that in mind. How often does baby go? If you're starting later, your baby likely won't go as often as a small newborn, so you can get away with less. If using covers, consider how often they go #2. Typically, I've found that we end up needing to change covers each time. With my daughter, she goes once a day/every other day so we can get by with fewer. With my son, he went after every time he nursed for the longest time so we would have needed several more covers with him. How often are you using cloth? Personally, we cloth full time- home, night, out and about- even while traveling! Others opt to choose disposables for overnight and on outings...or are required to do so at daycare. If this is you, you will generally need fewer diapers than the family who uses cloth full time. How often can/do you want to wash? Twenty-four diapers is generally thought of as the minimum stash and is a perfectly workable amount. This typically would have you washing about every other day (depending on your baby of course). If you don't mind and can do laundry frequently, this works out well. If you'd like to do laundry a little less often or don't have constant access to a washer, a larger amount may be wiser. How long do you want your diapers to last? Overall, it all comes down to preference. If you want to stick to the minimum, there is absolutely nothing wrong with that, especially if your primary concern is saving money! If you chose to cloth diaper for the fun prints and cute fluff then by means 'buy all the diapers!'. 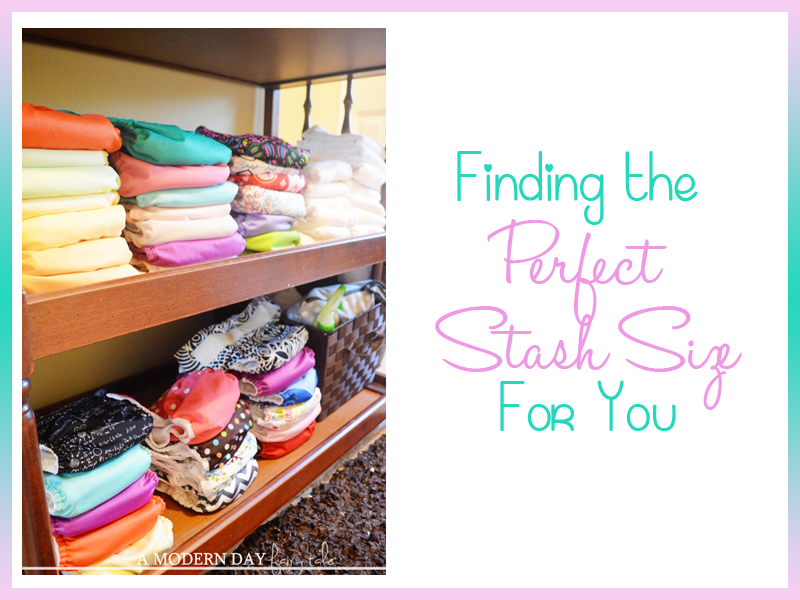 Truly, there is no right or wrong stash- just the stash that works for YOU. My best advice is to start small. Again, enough for 24 changes is the typical minimum recommended so start there. You may find that's the perfect amount for you and choose to end it there. Or you may discover you need a few more and you can build up until you reach the point you're happy with. I sure wish there had been the cloth diapers and information like this available 20 or so years ago when my son was an infant. But now it's time to pass this info on to my sister and nephew as there's a little boy on the way! My 2 year old uses less then 5 diapers a day, we are potty training...the nudist way! my 1 month old uses 10-15 diapers a day....I think I have about 20-30 between the two of them...I have to wash everyday...but I don't mind! Very informative! 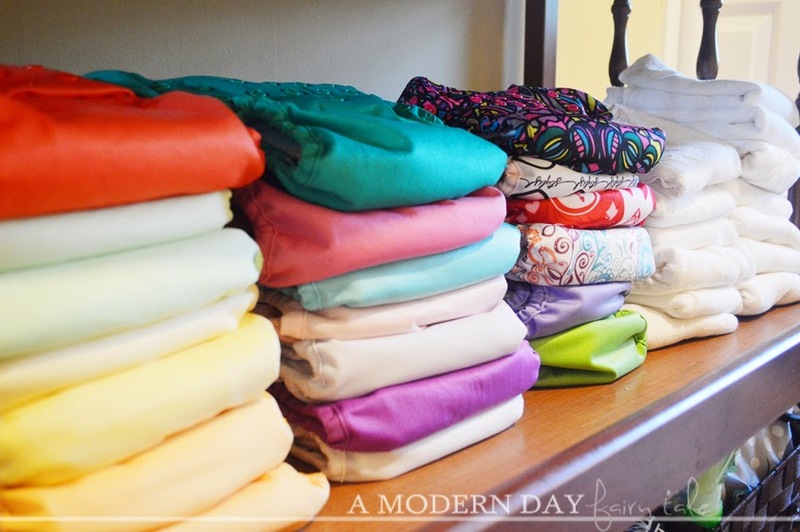 I've be highly considering cloth diapering my son, but it just seems so overwhelming! I don't know where to begin! !